Jesus as the bridegroom who will return for his bride, the Church. (Rev. 21:9-14). It should not be surprising that new images and metaphors for Jesus abound; both ones that expand upon biblical images and others that clearly more captive to our consumeristic culture. The danger, of course, is a Jesus made to order – one that resembles less and less the homeless, Palestinian man born in a stable and crucified on a cross and more like a tailor-made Jesus that is dressed up to fit the most pressing emotional need of the moment. 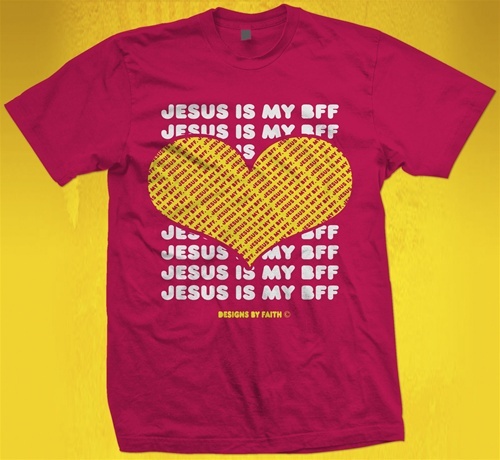 Sure Jesus said “I have called you friends,” but does that mean that we should start wearing faith clothes that tout Jesus as my bff? Sure, there is clearly a recognition in today’s church of too many missing men, but does that really mean Jesus has been too effeminate in the church’s teaching and preaching and the answer is for today’s men to become macho Christian warriors? Sure, Scripture alludes to Jesus as the bridegroom and the Church as his bride, but should we really make the quantum leap from there to Jesus as my boyfriend or as the one I should be dating? Sure, it may be challenging to go through life feeling like you may never find “the one” God intends for you to marry, but does that mean you simply don’t understand the basics of how to let God write your love story? 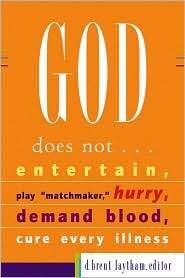 As an antidote to all this pseudo-christian cultural captivity, I recommend a couple of books edited by a long time friend, Brent Laytham. 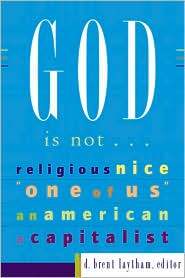 It is a series of articles inspired by classical negative theology (via negativa) in the Christian tradition; theology that seeks to describe the nature of God by saying “God is not … or God does not,” rather than “God is” or “God does.” What I find particularly interesting about these two books is that jaywalk straight into the middle of the busy intersection between contemporary Christianity and contemporary culture and tackle some of the resultant theological gaffes head-on. I for one can use a little more via negativa these days, particularly concerning how we think and speak God in contemporary culture. Maybe there are a few antidotes out there for those who would rather encounter the Jesus of Scripture over the Jesus of our latest whim or fancy.